NGC3242 is a small, bright planetary nebula in the southern constellation of Hydra 1,400 to 2,500 light years distant. Discovered in 1785 by William Herschel, it is also known as the Ghost of Jupiter, Eyeball nebula or the CBS nebula. The field is 32′ x 32′ and north is toward the upper right. 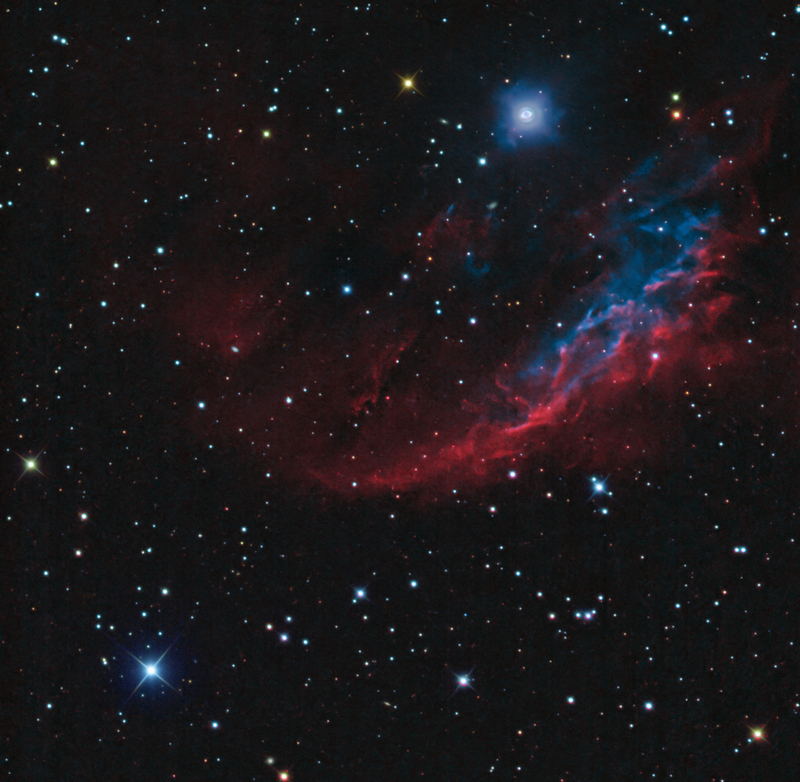 The image is not centered on NGC3242 at the RA and DEC coordinates provided below. 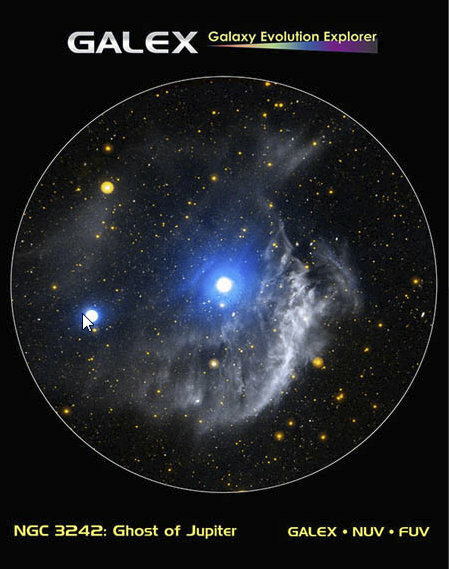 It was framed to additionally show the extended nebulosity coming from below the nebula toward the center of the image. It was a complicated image to process, much like the Orion nebula (M42), because of the brightness of the core. Much of the bluish region would be a pure white ellipse. 30 minute exposures with the 3 nm OIII filter saturated the core. Hence, 8 x 10 minute exposures with the OIII filter were used to reveal detail in the core along with the H-a data. These data were combined and processed into the image. They show an elliptical core and a central star surrounded by a roughly elliptical ring, which in turn is surrounded by a bluish halo.